Two strands of dupioni silk hold my favorite square jump rings and a mix of felt balls and Elaine Ray ceramic beads. 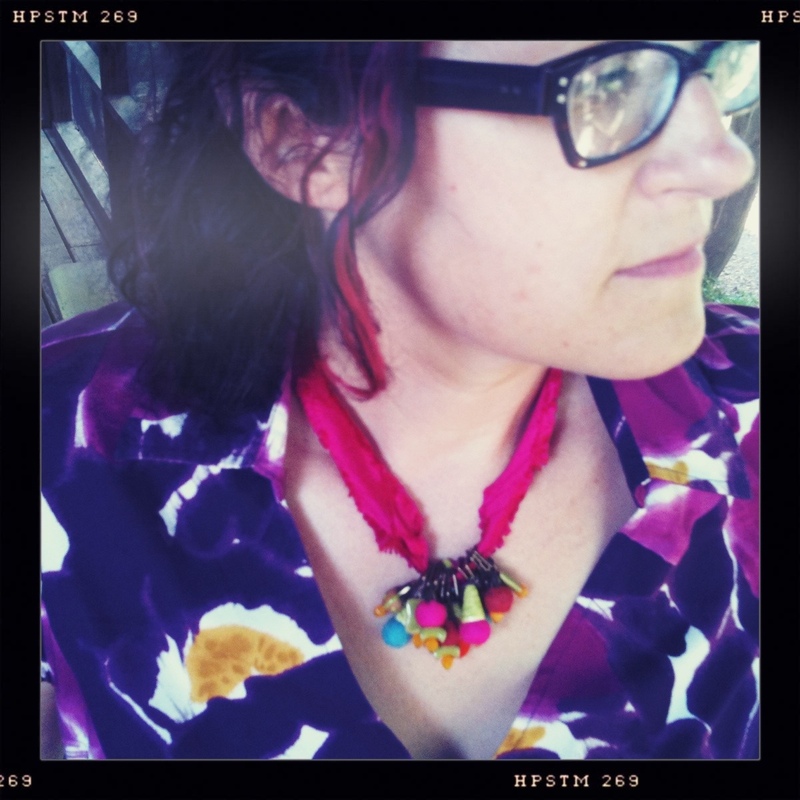 This necklace appeared in Stringing last summer and a version of it can be found here. It looks great with bright prints (as shown) or as a single, colorful accent with a white dress or shirt. The ribbon is fraying nicely. I love bias-cut ribbons for just that reason!